Made by shaker workshop bees? I like the honeycomb effect, very unusual! Congrats on being Blog of Note! And a worthy title too, love the blog. Very cool wine holder. It remindes me of my grandmother baisment with her gallons. Pretty cool! Time to fill'er up! 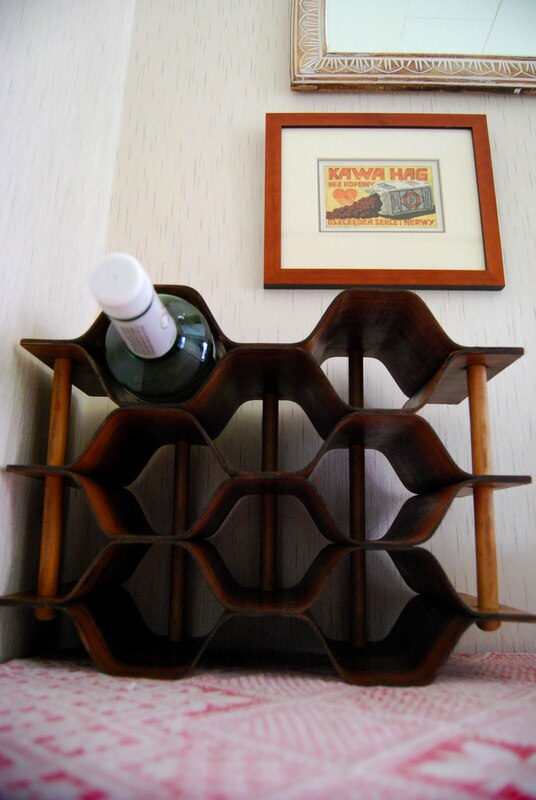 I love the wine rack!!! Very pretty. But you really need to fill that sucker up! Ooooh, that's lovely. I love the bowl, too. I cannot wait until the Shriek Sisters are a little less with the wrecky-wrecky so I can trawl the antique shops and flea markets for treasures.